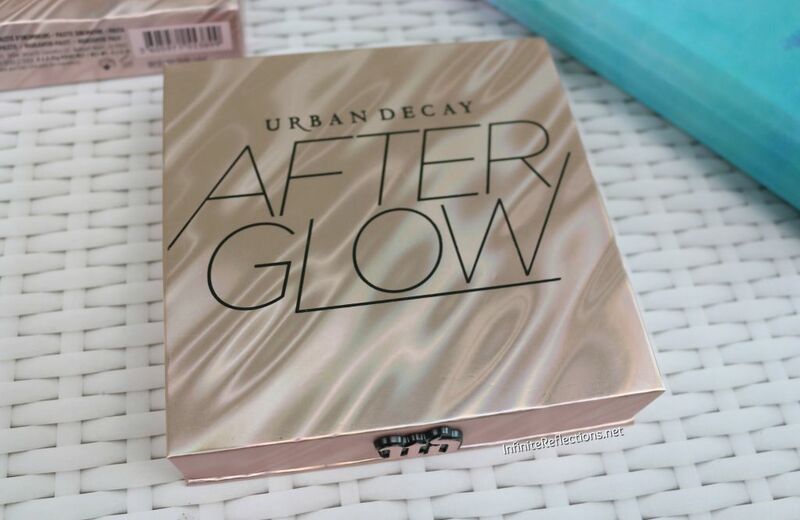 I have never tried an Urban Decay Afterglow highlighter before this and I was super excited to get this palette. 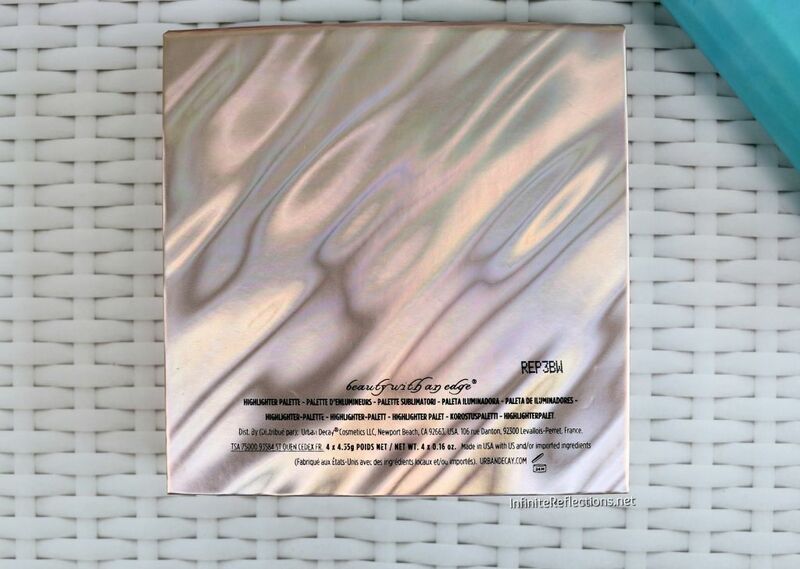 I had swatched this palette at the Changi Airport Duty Free shop before going on a trip and honestly the thought of this palette never left my brain throughout the entire trip. So, after coming back I did go ahead and place my order although I am still sulking that I could have saved quite a bit at the airport. Nevertheless, I used my Sephora discount and managed to save some change anyways. Now that you have a tiny background on how fixated I was on the palette, let’s get on with the review. I can see why some people may not like the packaging, since it’s quite bulky. It a thick cardboard packaging and feels quite heavy. Also, some of you may not find this to be very travel friendly. 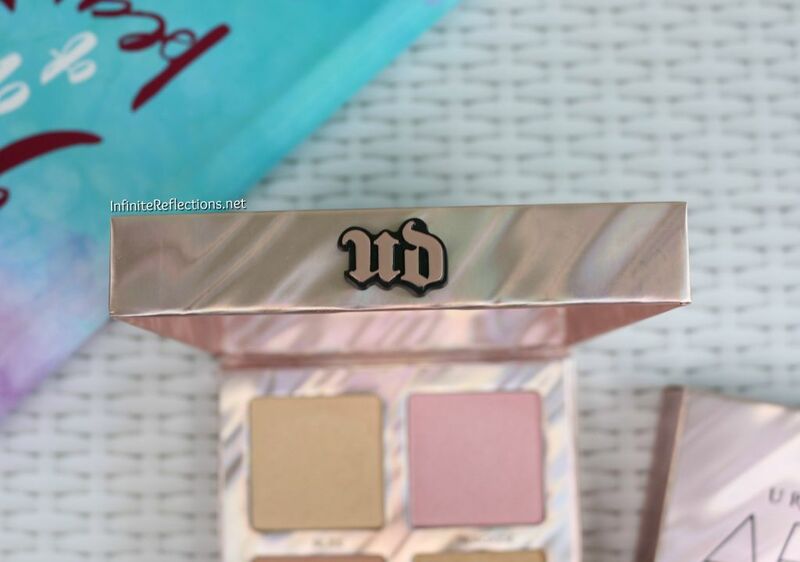 But, personally I really like the packaging as I feel it’s very different from all the other highlighter palettes I have, definitely a unique packaging to my collection. I wouldn’t mind travelling with this as the cardboard doesn’t feel flimsy at all and feels like quite a heavy duty box. I also really like the pattern on the outside as well as the whole colour scheme of the packaging. It opens and closes smoothly and also has a magnetic closure, so the palette is very secure. There is a nice sized mirror included in the palette, so this will definitely come in handy while travelling. I am not going to pretend here to be an expert in product ingredients, because I am not (LOL). 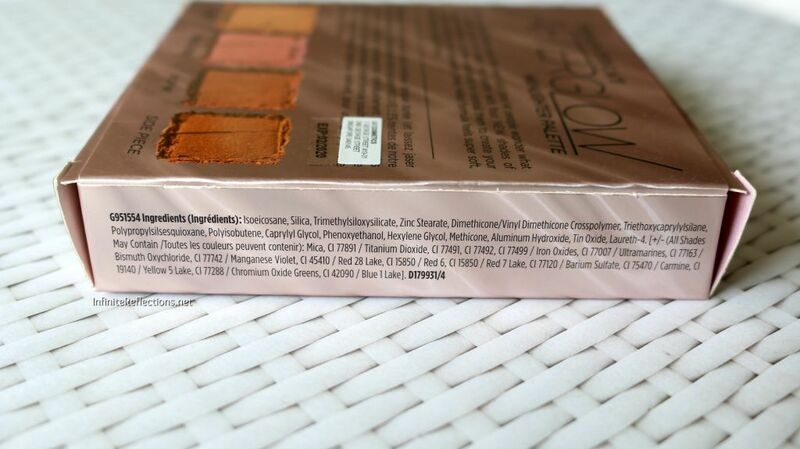 I am still learning this aspect of makeup products, but I do like to include the ingredient list just in case anyone else is interested. I got this palette from Sephora Singapore for SGD 52. 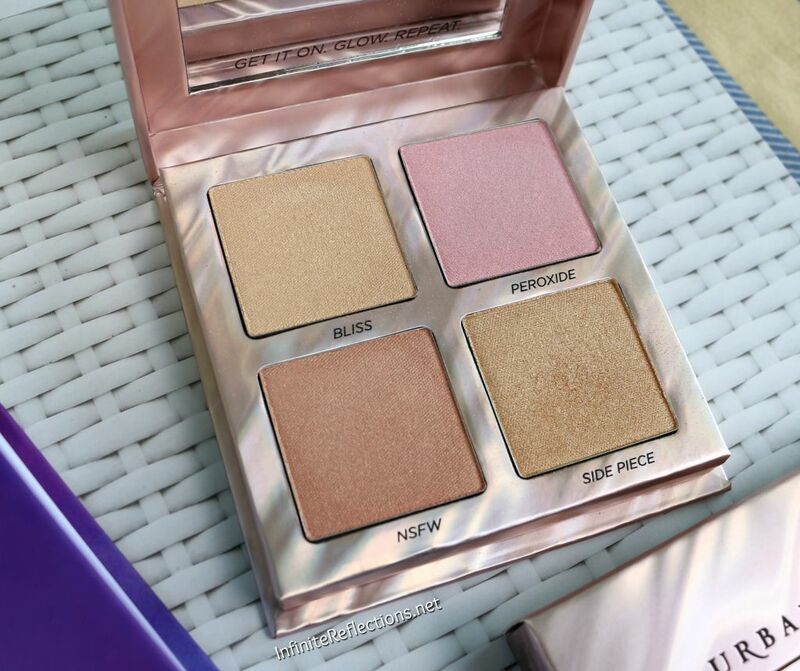 The palette includes 4 highlighter shades and each pan weighs 4.55 gm / 0.16 oz. I think that’s a decent amount of product for the price paid. 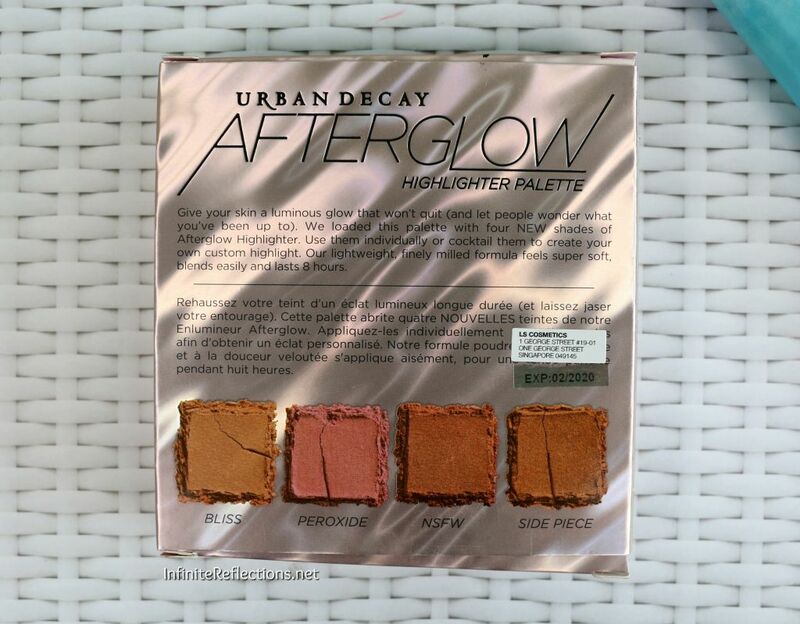 It’s less than what you get in some of the Becca and ABH highlighter palettes but we are also paying less for this one. 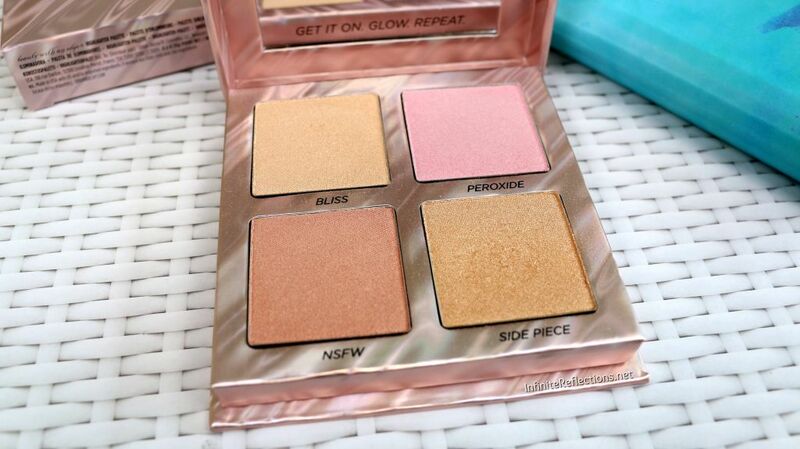 These are 4 brand new highlighter shades which are included in this palette. 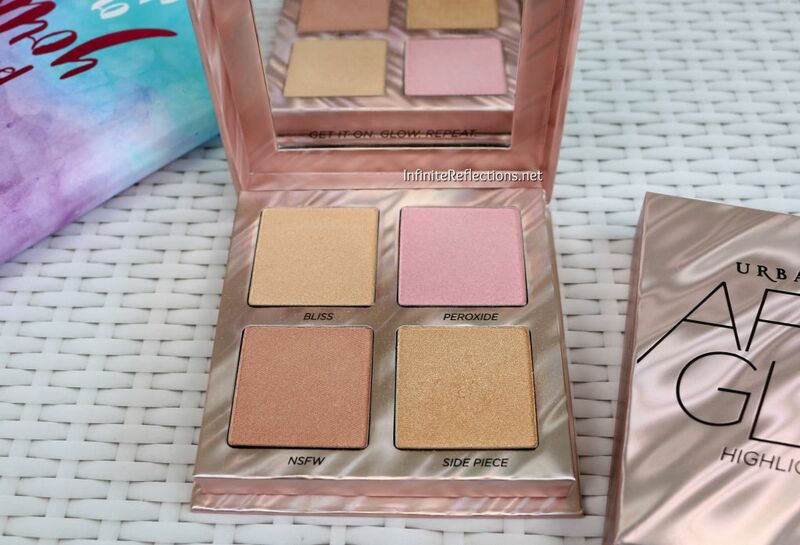 I think the shade selection of the palette is just absolutely perfect, specially for tan skin tone like mine. 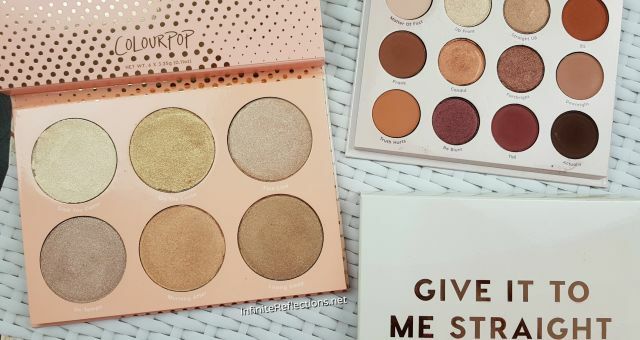 If you are someone with medium to tan complexion, then you will really enjoy this palette as you will be able to use almost all the shades without much difficulty. 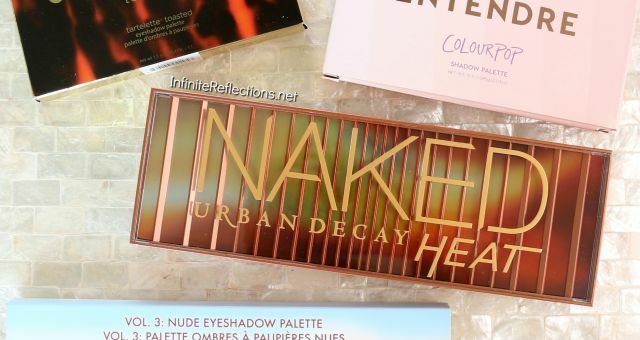 If you have a very fair skin tone then you may not be able to utilize this palette fully, since some of the shades might be too dark for you (depends on your preference though). There is a nice mix of colours and intensity. 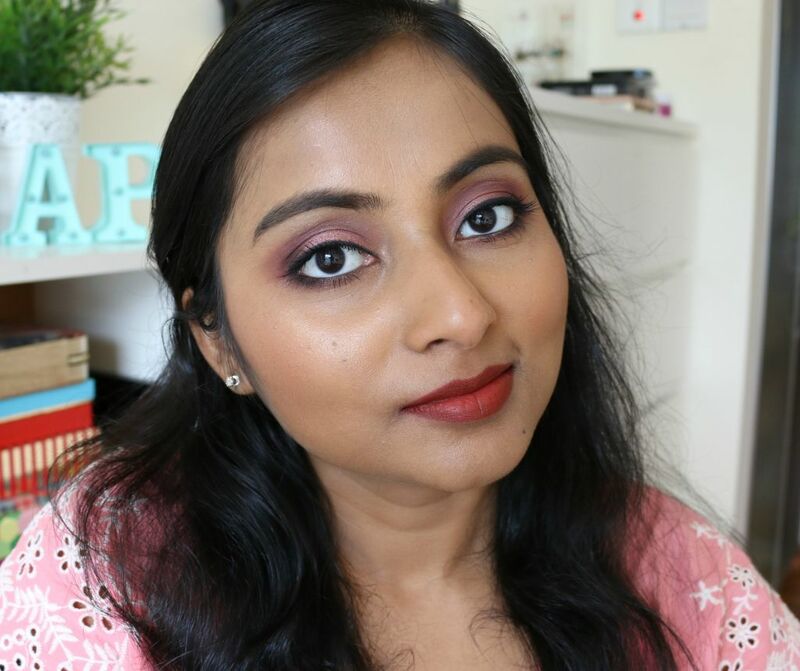 The shades “Bliss” and “Side Piece” can be quite intense and on the other hand “NSFW” can be worn as a more muted highlight on my skin tone. 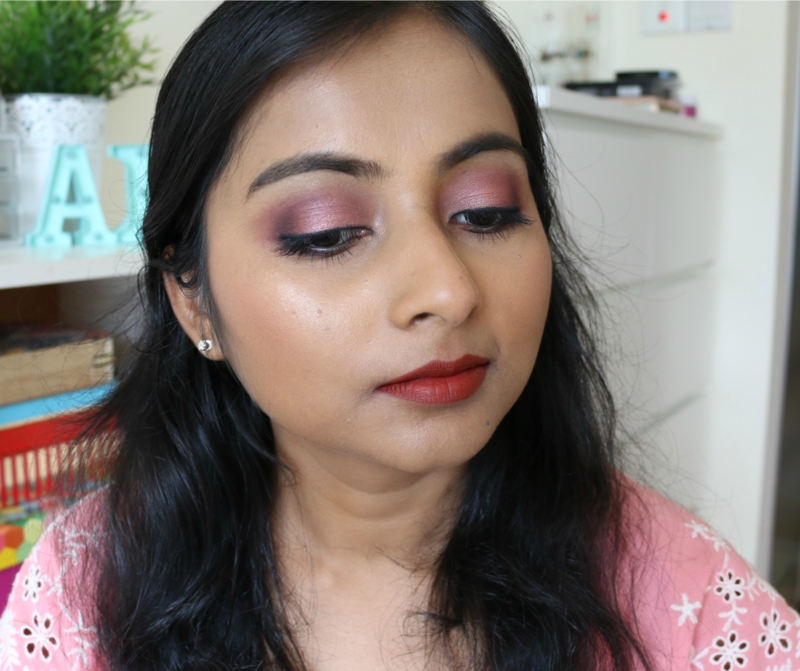 I don’t like to wear pink toned highlights but I intend to use the shade “Peroxide” as a blush topper on more adventurous days. The texture of the highlights in the pan is a tad bit powdery but nothing which bothers me. There is not a ton of kick-up in the pan or anything, but definitely when I go in with a brush I can see some powder kick-up. But when applied with the right highlighting brush, all the powders apply very smoothly on the skin and they don’t emphasize my pores or textures on the skin. All the powders are very finely milled shimmers with “Side Piece” being the most finest and the smoothest of them all. 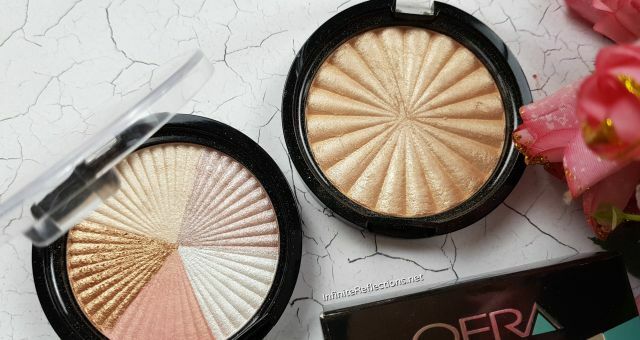 The pigmentation of all the highlighters is extremely good and they are very buildable as well. When applied with a light hand you can get a pretty sheer layer of highlight. Just a word of caution, that if you apply a very sheer layer, then very fine shimmer may be noticeable on the skin. For normal intensity, I apply 2-3 layers and I love the finish that I get. The intensity is very wearable and it doesn’t look overly done. The powders are easy to blend and can be toned down in intensity by blending out. I also found that the highlighters lasted on my skin for a decent amount of time, almost 5-6 hours as long as I wear makeup usually. 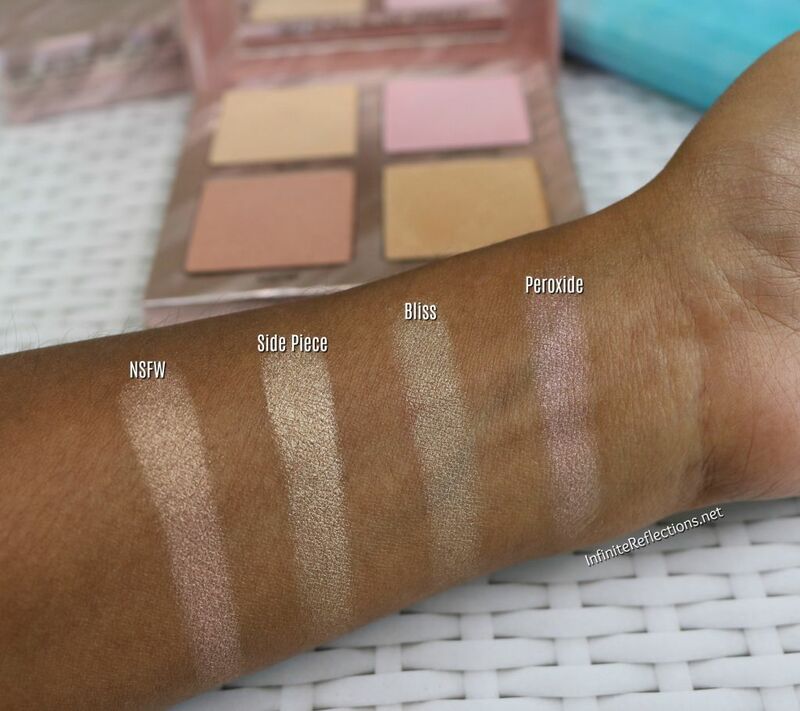 Here are the swatches of all the four highlighters on my skin tone. I am wearing the shade “Bliss” here. 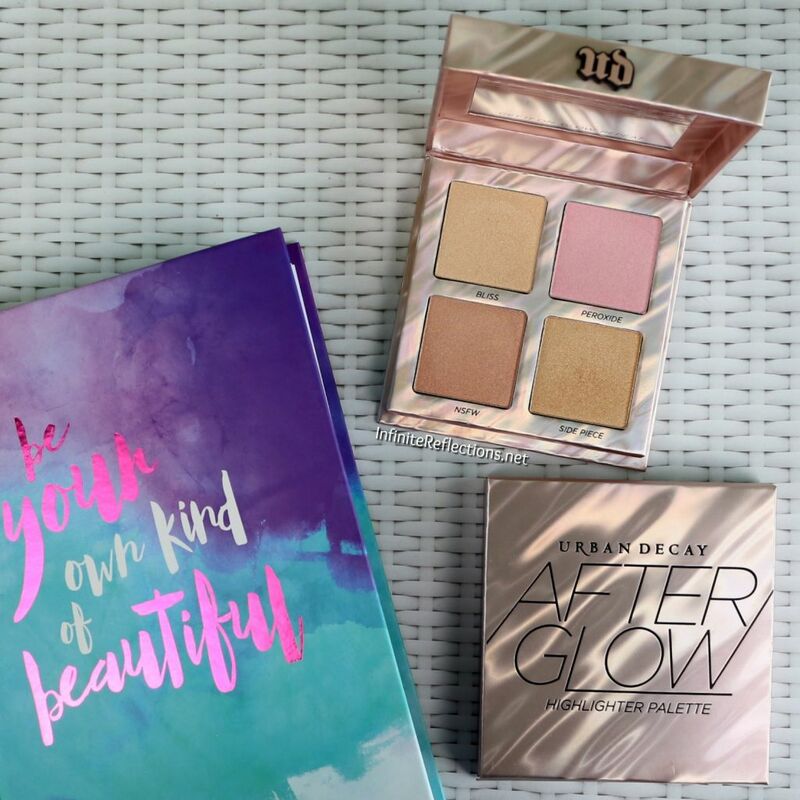 Overall, I really like this highlighter palette and is one of my current favourites. I would definitely recommend this to you if you are someone with a medium to tan complexion like mine. 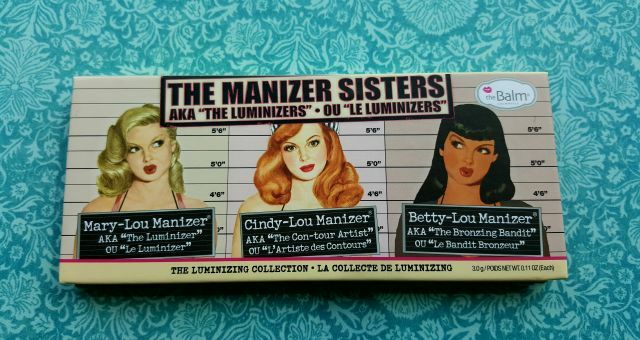 It has some very versatile buildable highlighters with varying intensity and is perfect for a lot of occasions. That’s all for today everyone. Hope this helps. I got this one, too. 🙂 Beautiful blog and in depth review as always!